The definition of a EFW is simply a trip across borders to watch football, drink beer and basically act like a 10 year old. It doesn’t have to be in Europe – it’s just that that was where the term started, coined by my old mucka, Danny Last. Every year we head off on an irregular basis (well, that’s what we tell our wives) to places old and new to enjoy a museum, art gallery and local crafts…. So 2014 brought a few new venues to my world map, but in the interests of fairness, I’ve limited the top three to those where we traveled as a group, drank as a group, laughed as a group and lost each other/our wallets/our phones as a group. Our annual trip to Scotland was planned to take in some of the Commonwealth Games events in Glasgow just so happened to coincide with the first round of the Petrofac Training Cup no less, with Hearts playing their first home game under supporter ownership at Tynecastle. What better place to spend a weekend with a bit of football in the middle. 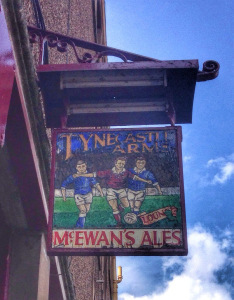 Decent pubs, some outstanding beer (just the six different Innis & Gunn brews for me), great food and of course a range of games all within an hour of the city. You can’t go far wrong that heading up here for the weekend. Just expect rain at any time of the year. Romania isn’t somewhere I’d have ever thought I’d like. Bucharest doesn’t exactly come with glowing reviews but I bloody loved it. Some great nightlife, very cheap, friendly locals and a country that is just starting to reap the benefits of EU membership. There are three major teams in the city as well as the National stadium, giving options in the North, South, East and West. 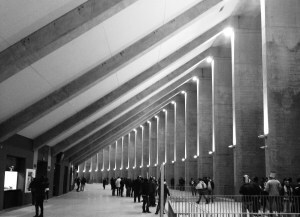 The main arena, the National Stadium is an outstanding venue for football. Read our sister site, 24 Hours in the City for a more in depth review of Bucharest. Without a doubt, hands down, the best night out in England at the moment, bar none as long as you head for the right places. Kelham Island is the place to be seen in just now. 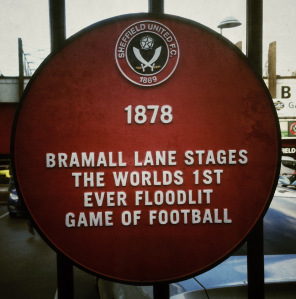 With every weekend hosting either United or Wednesday, the original pioneers of the beautiful game, Sheffield FC plus Rotherham now just one promotion from the Premier League just up the road, there is always a game on as an appetizer for a night sampling some of the local ales. The tiny Kelham Island Brewery, with its dozen local beers, The Shakespeare and the true home of Football, The Cutters Arm with his host of Thornbridge ales. Drop everything and go now. You will not regret it. This entry was posted in Non league football and tagged Bucharest, Edinburgh, Romania, Sheffield. Bookmark the permalink.